There are three kinds of writers in the world. The kind who can come up with jaw-dropping titles in seconds, the kind who struggle but consider their titles "okay", and the kind who cannot create a title to save their life. 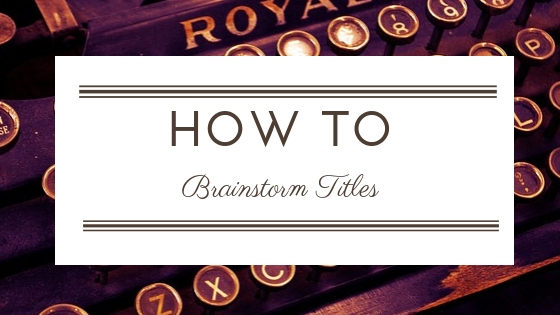 I fall into the second category, but over my years of struggling to create titles, I've managed to compile a list of key elements necessary to consider when brainstorming a title, plus some helpful methods! So if you're not sure what to title a story or blog post, hopefully these tips will help you out! This one is fairly straight forward. If your book is YA, your audience is young adults (and a fairly big chunk of adults who read YA too). If you write for children, it will be children. Adult fiction for adults, and so on. Your audience will have a certain vocabulary, and so if you're writing for kindergartners, "The Luminescence of Twilight Lampyridae" is not an appropriate title. How will they be able to tell someone what their favourite book is? Something like "Fireflies' Journey to the Moon" might be better. Readers of each genre have specific expectations of what a title in their genre will sound like. For example, in fantasy, most book titles have "queen" "king" "prince" "shadow" "crown" "empire" and so on in them. Or they have specific phrasing like "___ of ___" and "____ of ____ and ____". When I browse through Goodreads or a website, and skim book titles, these expectations help me to quickly determine whether or not I'll click on a book. Make sure you know the expectation of what titles will sound like in your genre, so you don't lose any readers! Intention can span a variety of areas. 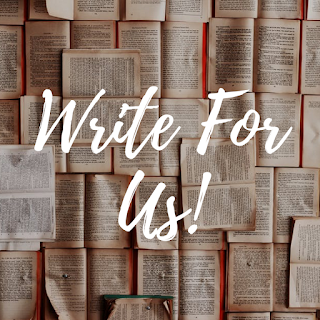 There's the intention of the effect on the reader (such as creating a title that evokes mystery), the intention of your words (such as inspiring someone with your blog post), and your intention for the future of the your story (such as starting a series). All of these will impact what title you create. Let's run with the series example. Titles in a series need to be consistent, so that readers can easily pick up that they're linked, which is what Holly Black has done with "The Cruel Prince" and "The Wicked King". So if you plan to write a series, aim for titles which can relate to each other! - Make a Word Aesthetic List: Think of words that relate to your story or settling, and try playing around with them in different ways and orders. For example, there's Tammy Lash's "White Wolf and the Ash Princess". - Take Inspiration From a Key Line: Find a line you love in your story or article, and use all or a snippet of it as your title. Sarah J Maas has done this a lot, such as in "Queen of Shadows". -State It For What It Is: Sometimes simple and sweet works, and leaves an impact. Take a key word or idea from the article, like a blog post titled "How to Use Scrivener". It also works for books, such as Nadine Brandes' "Fawkes". - Pull From the Theme: Brainstorm a list of words or phrases that relate to the theme or message of the story, then think of some ways to express it more artistically or vaguely. This is what C. G. Drews did with "A Thousand Perfect Notes". - Focus on Character: Think of ways to describe your character, their relationships, or what they do. This is common in a lot of historical novels which use some variation on "The ____'s Daughter/Son". As another example, Mary Weber used her character's name in "The Evaporation of Sofi Snow" to create intrigue. And there you have it, some key considerations when brainstorming titles, and some ways to create them! I hope you might now have inspiration or an idea of how to form yours! How do you brainstorm titles? Have you seen any patterns in titles in regards to audience/genre? What's your WIP's title and how did you come up with it? Melissa Gravitis is a Christian teen writer with a Thai heart, Aussie heritage, and international blood. 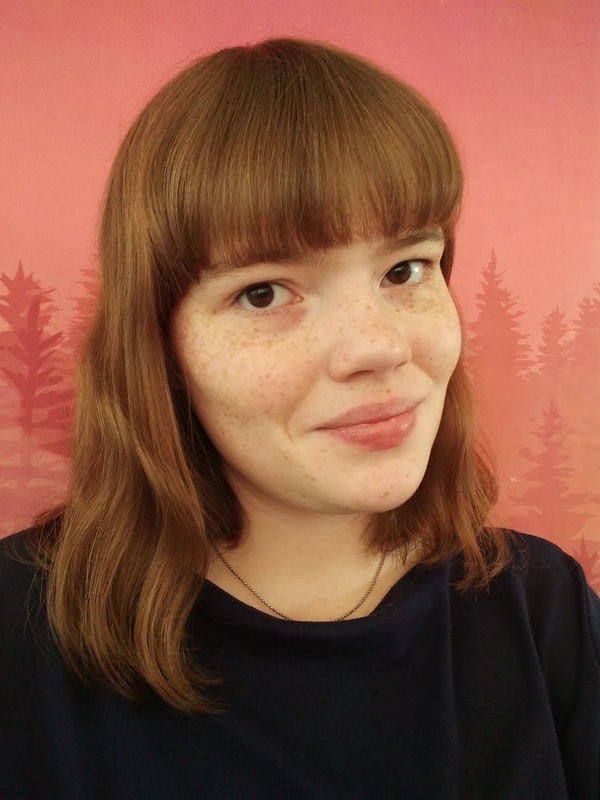 Growing up overseas, she developed a passion for following dreams, and crafting Young Adult stories with vibrant worlds and characters that pop off the page. Though she doesn’t own any pets (yet), she has imaginary friends called Characters that she spends most of her days with. When she’s not with them, she’s jamming to music, sketching, or burying herself in books. You can read her thoughts and follow her writing progress on her blog, Quill Pen Writer. So helpful, Melissa! I struggle a lot with naming books, so I’ll be using these tips in the near future! Very nice post (still can't get over having seen this blog post title as HOW TO BRAINWASH TILES. I still see that ;p). I'm the first type of person. My titles usually come to me as soon as the plot does. My current WIP is ALL THE OTHER GIRLS. And I quite like it. But the problem with titles usually coming to me, is when they don't I'm unsure of how to go about finding a title. So I love your tips! Oooh I like that title, it's great! It seems like there could be plenty of hidden meanings in it too... ;) Thank you, I hope they help with that then! This is really cool! I've never struggled much with coming up with titles, though people have told me some aren't as great. Also, White Wolf and the Ash Princess was one of the most amazing books I read this year. Just...was not expecting to love it as much as I did, and that makes it greater! Aw really, who said your titles aren't great?? The ones for your trilogy are good, and I can clearly see that they're in a series together, which is SO important!! I am having such a problem with naming things lately, so I was really excited to read this. And, it followed through! Thanks for the tips, Melissa! So glad that I could help Clare! :D You're very welcome!